Malaysia is a resourceful country especially in renewable energy. Many people know Malaysia is rich in underground oil reserves, year-round solar energy, good rainfall and rivers, however biomass energy is often ignored. 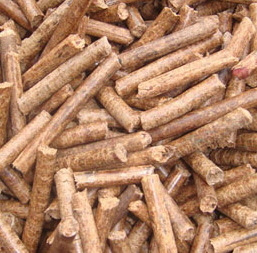 In fact, Malaysia is having plenty of resources of biomass energy. Among Biomass resources in Malaysia, crude palm oil industry is generating access biomass resource than trees. Crude Palm Oil industry is producing at least 5 million tons of palm kernel shell and palm fiber each year. These two substances （Palm kernel shell & palm fibre） are the main contribution for biomass energy . Fiber is a fluffy substance that also saying need larger space for storage and transporting. Palm fibre should go through compression into bale form in order to increase transport efficiency. However, Malaysian local biomass plant located not very far away from palm oil plant, hence the palm fiber is sent under raw form. From application stand point, raw palm fiber mostly used as biomass purpose. 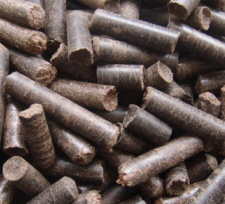 For other applications , such as long fiber or palm fibre pellet, those products are processed to add value. 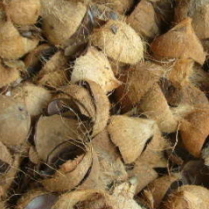 The long fibers extract from palm fiber will be sorted out as the material for making palm mattress. And we all know, China is currently the major palm mattress production base. In order to improve the efficiency inshipping, the manufacturer will compress the long fibers into bale form for the convenient shipping process from Malaysia to China. A 20-foot container, it can be fitted with about seven tons of bundled form long fiber. EFB pallet is another application for short fibre. The fluffy fiber will be squeezed in the EFB pelletizing press machine rollers in order to form a high-density EFB pallet. A well establish press machine is able to produce EFB pallet with diameter of 8mm, and pallet length of 15-20mm. EFB pallet is normally asking for much higher price then the raw form of material, in most cases, the EFB pellet is selling higher price than palm kernel shell. Packing wise, a one ton bags can only load with 700kg of EFB pallet. As know by many people, the black colour shell from oil palm fruit is the hard shell which we name it as palm kernel shell. 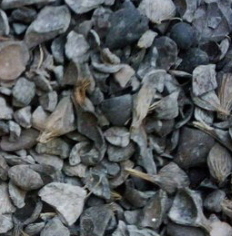 Palm kernel shell itself is a high density material . These high density shell , can burn for generating combustion calorific heat about 4,200 kcal / kg. Palm kernel shell is a high density and low moisture product, so it is also act as a natural biomass pallet. In this region, most of the PKS is shipped under raw form. During transportation, a tonage bag could load around 600kg of palm kernel shell . Palm kernel shell is more favourable for transport under loose form as it will not cause damage. However for EFB pellet, it will break if the handling process is not appropriate. 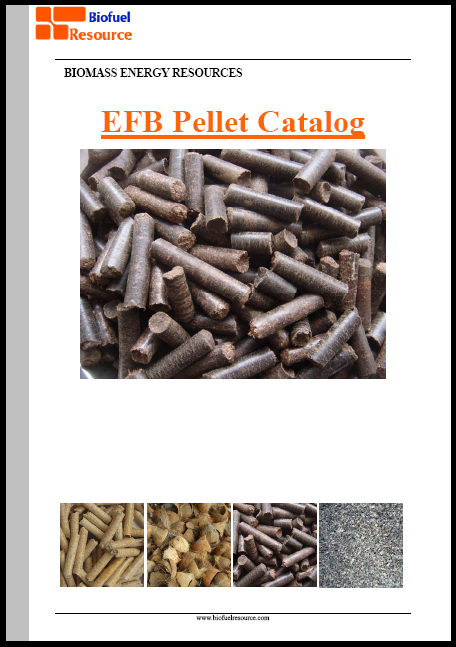 In many case, a EFB pellet will break into shorter pellet size after transportation. Because of palm kernel shell is not easy to broken features, during transportation, we can ship the PKS under loose form in 20-foot container . Each 20 -foot container can carry up to 19-ton palm kernel shell, this also imply palm kernel shell is more efficiency even shipping under container. From the perspective of biomass energy, palm kernel shell is one of the favourable biomass commodity. This product is more favourable to transport and providing high calorific value and less moisture. Palm kernel shell is currently the most common biomass energy commodity for exports and overseas market. would u explain more about palm fibre and it application? large qty of palm kernel shells and fibre are available in my area.How can l be an exporter? Where is your exact location? Maybe there are several interested buyer want to contact you. EFB Pellet to Replace Wood Pellet?